The only thing holding me back from a wholehearted endorsement of moving to LAF is the lack of a group file repository. Cool. What version of FUBAR are you using for this? Topic: Anyone still actively working on ULTRA-FUBAR? Re: Anyone still actively working on ULTRA-FUBAR? I am not so much working on ULTRA-FUBAR as I am refining the VSF and Fantasy versions. I believe I've incorporated a lot of the latest concepts into them, but they remain a hybrid. It all depends on what I'm playing at the moment - currently I'm working on a raygun skirmish ruleset. Topic: Is FUBAR 4.0's activation system actually broken? Re: Is FUBAR 4.0's activation system actually broken? I've found tht green troops with a good leader will activate much more often. That's cool. My ancients/fantasy set is predominantly with formed units. Very interesting - I like the Myth Dice mechanic. You fight with minis predominantly in open order rather than formed units? Very nice! What are their stats? I've been using Dark Fantasy FUBAR for ancients battles - I humbly offer it for your plundering. And here's an army of mummies. They're based for Hail Caesar, but it's just a matter of using a different movement tray for FUBAR. Very nifty! How many units is that? Could you clarify what you mean by command roles? The Tobor were made by reposing Reaper Miniatures's "Heroic Sculpting Armatures" and grafting on various bits for heads, weapons, etc. Painting was black ink over bare metal and then burnishing with steel wool. I'd probably end up making a custom damage table for the larger dinosaurs, and some sort of automated behavior matrix. Little guys like velociraptors I'd probably just treat as infantry. Very nice! Please tell us how you made the walker. I offer the guts of the VSF FUBAR version for your steampunk cannibalism. 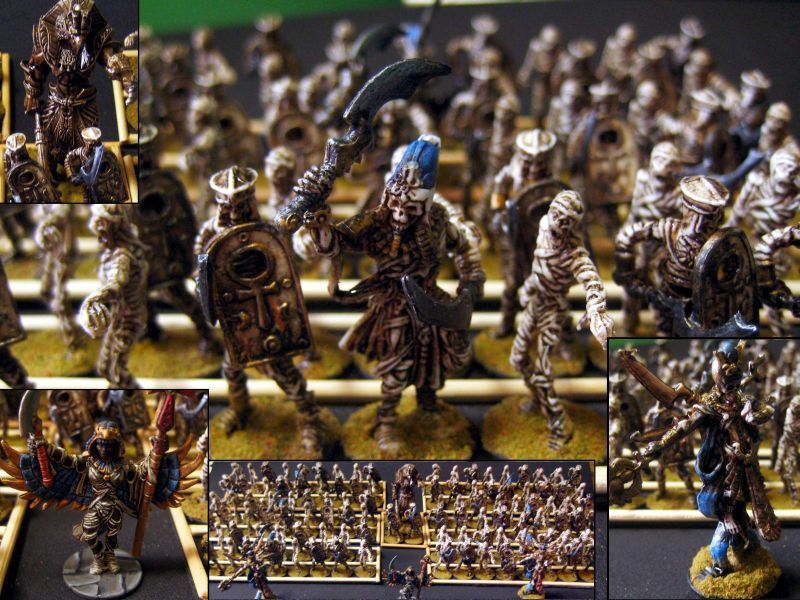 I've got a large force of VSF British to paint up, and I've got a box of spectral Romans to paint at some point. Topic: Tea Time in China: Republic of Texas Strikes Back! Re: Tea Time in China: Republic of Texas Strikes Back! Still, you fielded a grand 'nef of the fleet, so it's gotta be cool. I approve! Good to see my little variant getting some play! How'd it work for you? What weak points were there? What scale were you playing? Could you further explain the auto-casualty results? Removing suppression doesn't sit well with me. I really like the rest of this though. I still see debug messages and it looks like the CSS is not completely applied on the View New Posts screen. The one I use in the VSF version seems to work, though it could use some refinement for vehicles. Crassus's lagoon was sold into slavery after its defeat at Carrhae...to aliens. The way that disengage is worded, it doesn't seem to fit, since units involved on close assault automatically activate at the start of the turn - no roll is needed, so how do we know how many actions they get? Yeah, I'll see how I can help. Give the characters a bunch of rerolls or whatnot, load them up on special skills, etc. I find that single characters tend to die really quickly if they're caught out in the open, and have to be really careful even when in cover. They move around best while in or behind friendly units.